The Chicago School’s Dr. Cynthia Langtiw is quoted in this article in the online version of Parents Magazine about helping your child resist peer pressure. 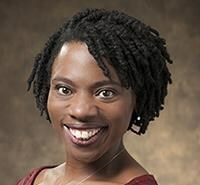 Dr. Cynthia Lubin Langtiw is a proud alumnus of The Chicago School of Professional Psychology. Cynthia Lubin Langtiw earned a doctoral degree in clinical psychology from The Chicago School of Professional Psychology. She also holds a master’s degree in clinical psychology, with a focus on community psychology, from the University of Illinois at Chicago and a bachelor’s degree, with honors, in psychology from the University of Chicago.